Player card effects cannot place progress tokens on locations in the staging area. 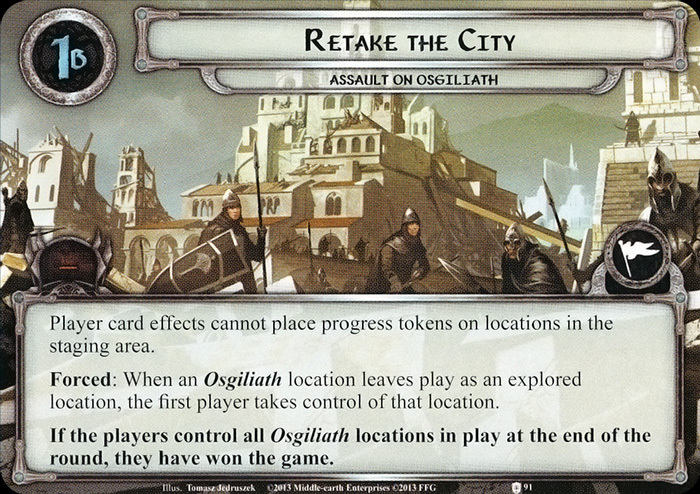 Forced: When an Osgiliath location leaves play as an explored location, the first player takes control of that location. 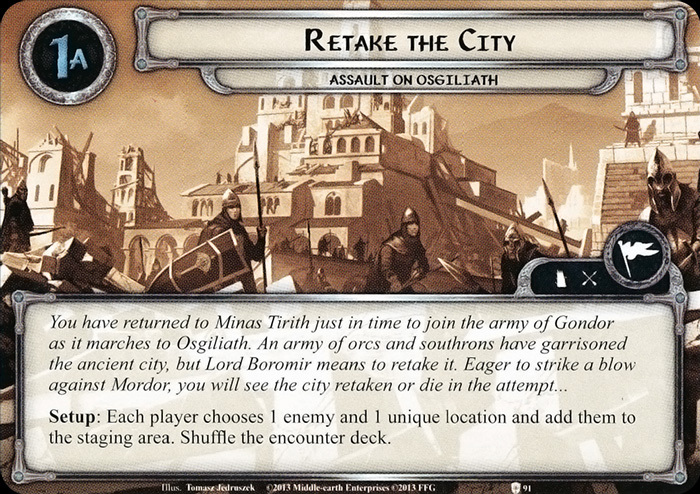 If the players control all Osgiliath locations in play at the end of the round, they have won the game.